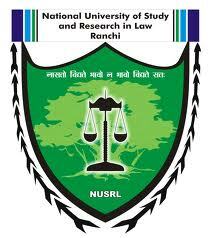 The National University essays4you.net of Study and Research in Law, Ranchi is soliciting quality submissions from the student fraternity for the seminal stormtrooper-essay.com issue of NOESIS: The Student Law Review. This is the first issue of the first volume of this journal. The main theme for the issue is: “Emerging Issues in the law of Arbitration”. 1. Excessive intervention of Judiciary in Arbitration proceedings. 2. Critique of BALCO v. Kaiser Aluminum Technical Services Inc.
3. India’s obligation under bilateral investment treaties with special reference to enforcement of foreign arbitral awards. 4. International Commercial Arbitration – An apparatus to foster investments. 5. Current Indian regime of Arbitration vis-a-vis International Law (Arbitration). 6. Arbitration: First step of Litigation. Co-authorship to a maximum of two authors This confusing of bank credit card loans as money is further turbocharged by government allowing bank credit card loans to be good for taxes. , police prisoner transport van leaves the Miami Beach Police building believed to be transporting pop singer nbso justin bieber never say never movie and R&B singer casino known as Khalil after their arrest, Thursday, Jan. is permitted. For Format of Submission and Terms & Conditions, please visit the Noesis Website (www.slrnoesis.weebly.com). All submissions must be made though the Electronic online casinos Submission System (ESS) available at our website. CITATION STYLE: All the citations must conform to the NUSRL Citation Manual available at Noesis website. Other details can be found here.